If you want to know when a film is showing at your nearest cinema or to see a list of cars for sale then search engines are great. But if you need a list of suppliers for a new product or to know who the relevant customers would be then forget Google, Bing and Facebook. Print will win every time. Have I lost the plot? My business is based around online marketing, so let’s take a look at the evidence. 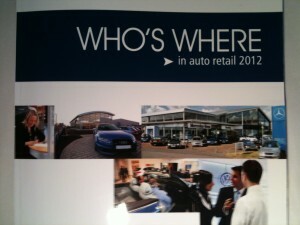 This week I picked up my copy of Who’s Where in Auto Retail in 2012 produced by www.Auto-Retail.co.uk to use for some research and it struck me how often I use paper based media. 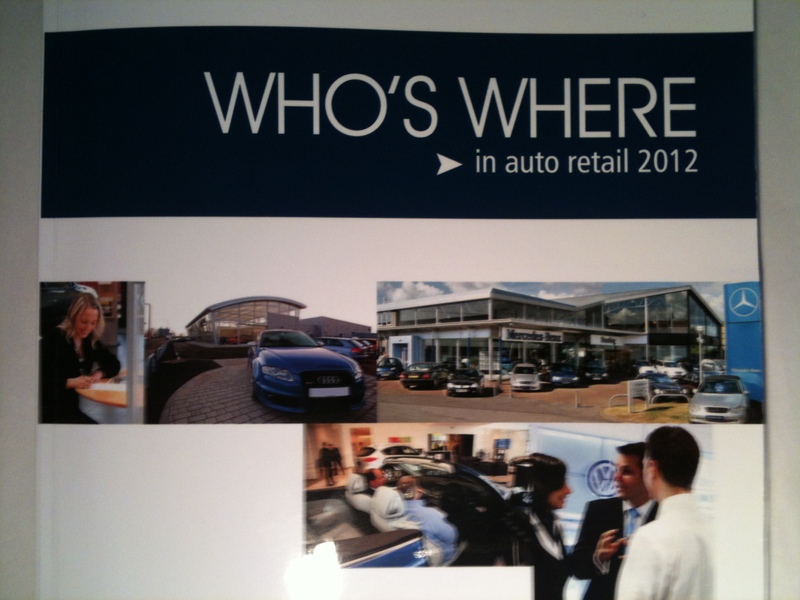 If you’re not familiar with the guide it is a 140 page A4 book listing car retail groups, online sellers and car manufacturers in the UK and is a really useful document. It sits on my office shelf along with the 2012 SMMT Press & PR Guide(114 pages of PR people in the industry) and Who’s Who in the Motor Industry 2012 from the Guild of Motoring Writers (383 pages of stuff about the UK automotive sector that would make Wikipedia look ignorant).The total cost of buying all three books ranges between £369 and £477 per year depending on whether you buy at ‘member rates’ or not. But why pay for this when your preferred search engine can reveal every secret and contact number at the stroke of a few keys? The answer is of course that search engines can’t find everything you want and that the term ‘search’ means just that. You can find facts, articles and single elements fairly easily. You can spend hours (and we all have..) heading off down online byways reading reports, articles, blogs and comments which have some link to the search term you entered into the box. Google gets better and smarter at finding more relevant results with every search, but it still cannot replicate a directory. You can find people via professional online platforms LinkedIn and Xing, and they’re really good at some aspects – but you often have to pay a subscription to access the really clever stuff. But the fact remains that if you want useful information, collated into a usable format you need to have interpretation and classification and that costs money. The value of a structured, validated index of people and organisations that has been created by specialists in their field will always trump an algorithm in a search engine. Each of these three books are produced by organisations that have close and personal links with the people and businesses listed inside them. They have background reading, statistics, observations and are easy to navigate. When I am planning new business development or a marketing strategy in the motor industry, then printed guides are a core part of my research. As I narrow down the groups or people I need to contact, then I switch online and carry on more detailed analysis – and here the internet picks up the trail very well. Until ‘search’ becomes ‘information’ I’ll always have room on my shelf for the properly researched printed word in directories. How about you?